I have absolutely no idea how to use Pinterest properly, or to my advantage, but when I saw a photo shared of a cake smash I immediately knew that was what I had to do for P3. For months I have been searching Pinterest for inspiration. I had this firm vision in my head of what I wanted it to look like. I wanted it outside. I knew that from the beginning but seeing as P3s birthday is right at the very end of September I was a little anxious. I got my Grandad involved and we used his garden as our setting. 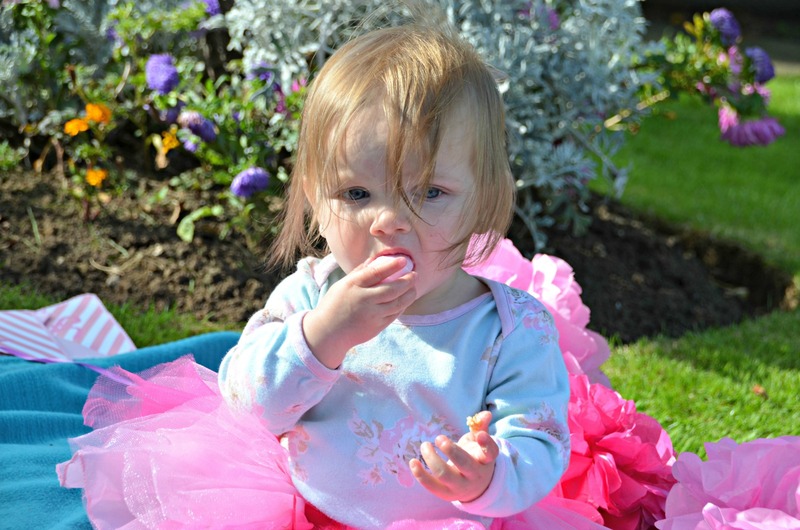 I wanted to get some props for the photoshoot so sourced a 1st Birthday Tutu, Light Pink & Dark Pink Pom Poms and Pink n Mix Birthday Party Bunting from Party Pieces and my Grandad bought the cake and balloon. He was really into the whole process. 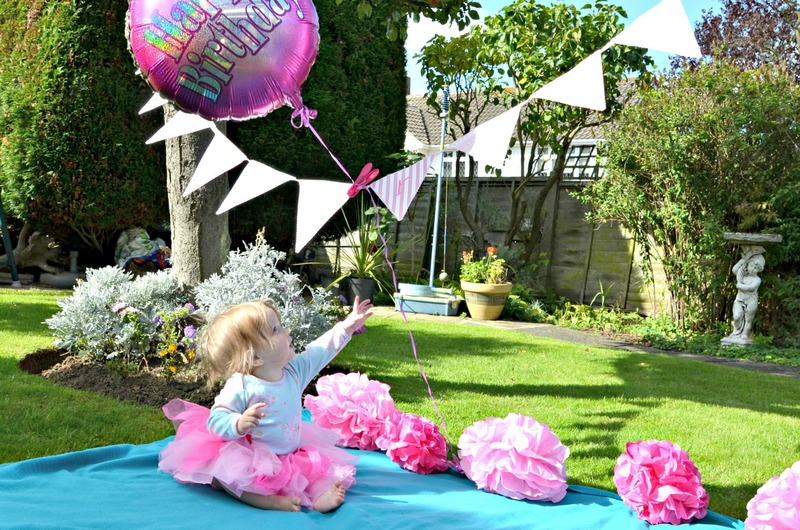 Fixing the Pom Poms to the blanket to stop them blowing away, putting up the bunting and getting the cake ready. He’s a man of perfection and setting up took much longer than I wanted it to and P3 was very grizzly from being tired. The photoshoot didn’t quite go how I imagined it would. So I’ve put together some tips to help you avoid all the mistakes I made trying to create my own cake smash! Pre-cake smash think about the weather, time of year and time of the day. I chose a spot in the garden in the sun light which was a big mistake, it was also extremely windy so I would highly recommend doing an Autumn shoot indoors but by a window for extra light. Remember you can always brighten up images when editing but as you can see from my photos it’s hard to dull one down without losing quality. Get some props but nothing too distracting. A balloon or some Pom Poms for the background. The cake should have soft icing in bright colours, avoid red and brown for obvious reasons. 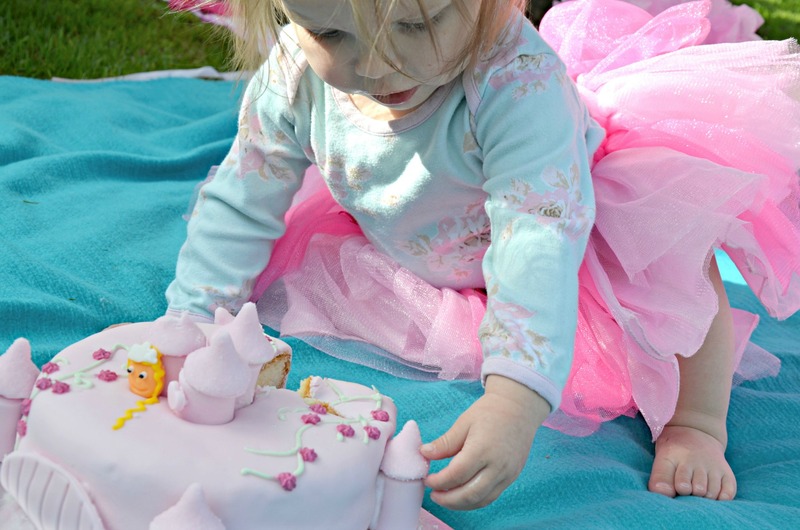 P3 was not interested in the cake at all, so we needed to cut a bit off and help her along. Expect that. 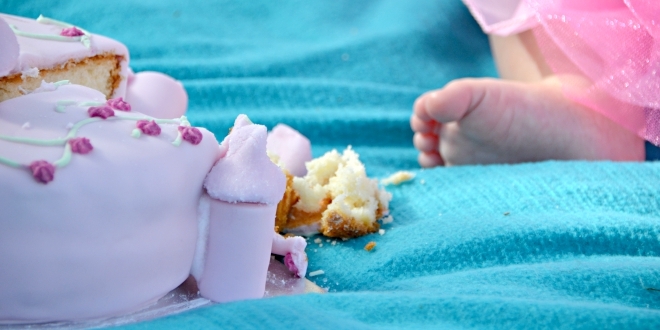 Do the cake smash when your child is most awake and happy. P3 was ready to have a nap so was super stroppy and hard to work with. It was a really lovely experience and I wish I had done this for P1 and P2. This is why I love being a blogger because it opens me up to so many new ideas and pushes me out of my comfort zone. I want to plan big things for all the girls birthdays now to add to their memory boxes as the years go by.